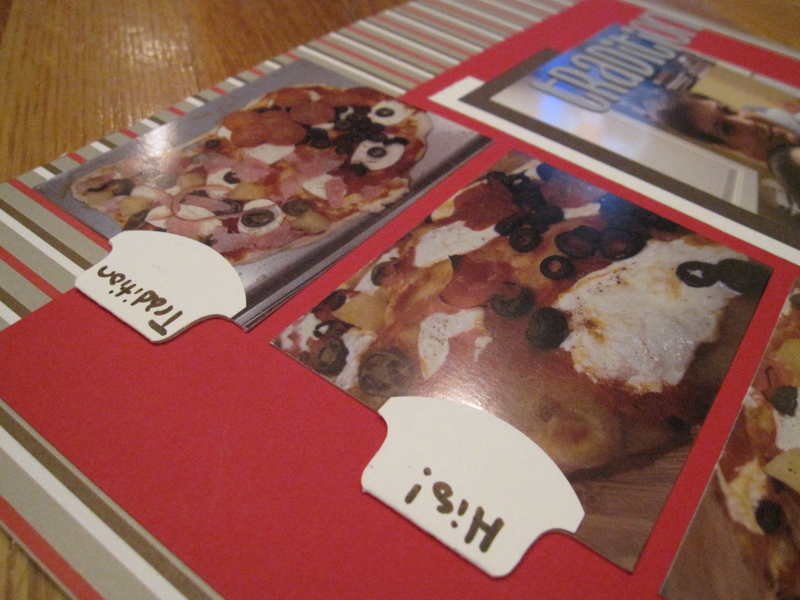 I think that scrapbooking is a great way to be creative and to document events like birthdays, holidays, and vacations. These special events often involve a tradition. We have a tradition to open Christmas gifts on Christmas Eve. A tradition that Price and I have is that we make pizza on my birthday. This past January was the 5th year together so 5th time. It really would not seem like my birthday without it. 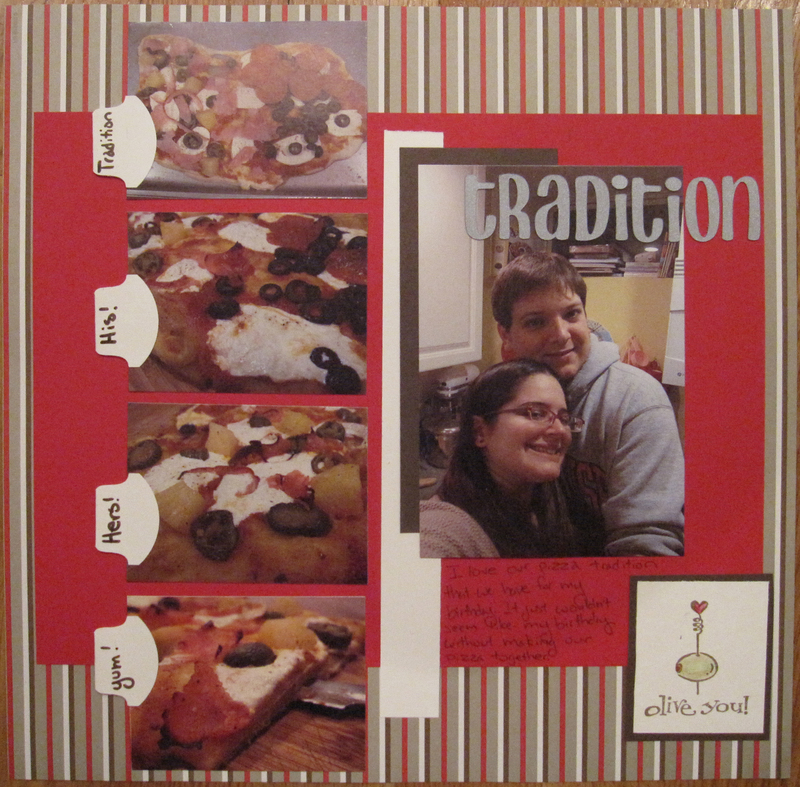 I wanted this layout to be more about our tradition for my birthday than just saying what we did for my 25th birthday. I felt that documenting that this was the 5th year of our pizza dinner better told the story about my birthday and how meaningful those pizzas area. 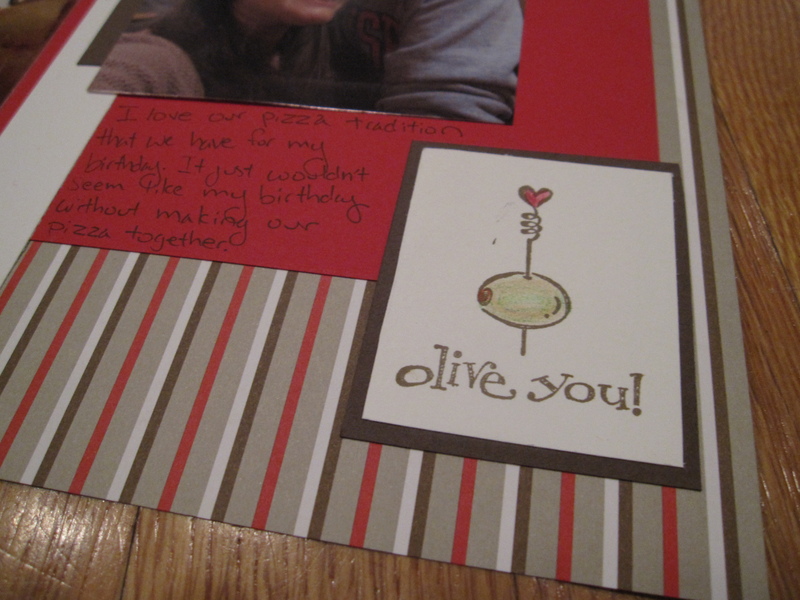 While I hate olives I used the stamp with the olive because I love the message and Price’s pizza always has olives on it.